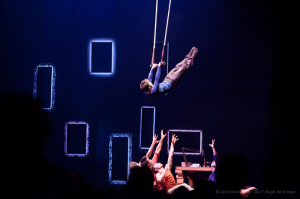 If you loved the amazing acrobats and circus acts in Tony-award winner Pippin, you won’t want to miss Séquence 8, a stunning nouveau cirque performance by Les 7 Doigts de la Main from Montreal. Canada seems to be the homeland of death-defying, creative and gorgeous acrobatics. 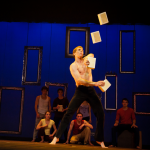 Think Cirque du Soleil but with hip hop, theater, skateboarding, dynamic music and the acrobatics and humor that we’ve come to love. It’s exciting that this show is finally coming to New York, after playing to audiences in 15 countries since 2012. Les 7 Doigts de la Main (The 7 Fingers) was founded in 2002 by seven Montreal-based artists. The company’s name is a twist on the French idiom “the five fingers of the hand,” used to describe distinct parts united tightly, moving in coordination towards one common goal. 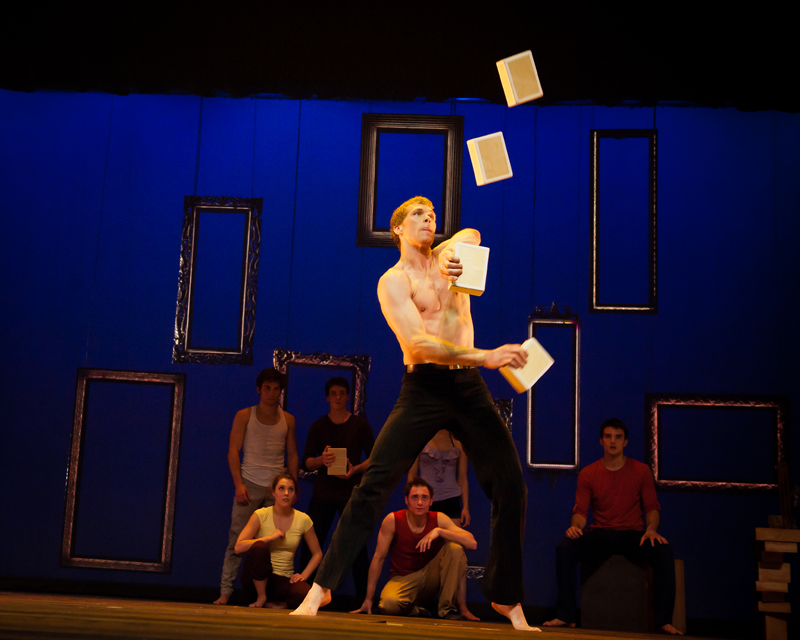 In addition to having performed their own shows for the past 12 years, the company developed circus choreography for the hit Broadway revival of Pippin. For the 2014 Sochi Olympics Opening Ceremony, Les 7 Doigts de la Main staged a 600-person spectacle that was broadcast to approximately four million viewers. 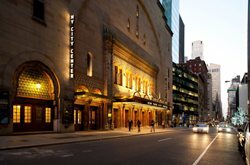 New York City Center has again taken a premier stance in putting forth creative programs for the city, including the acclaimed Encores! musical theater series which mounts “forgotten” musicals with full orchestration, top Broadway stars, and minimal staging. 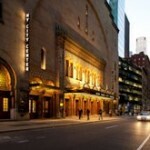 City Center is also home to many distinguished companies, including Alvin Ailey American Dance Theater, City Center’s Principal Dance Company, and Manhattan Theatre Club. Their newest offering, the Encores! Off-Center series features landmark Off Broadway musicals filtered through the lens of today’s most innovative artists. When you visit, be sure to look up at the ceiling – the restoration of a few years ago has made this theater an architectural landmark in its own right. Séquence 8 will run for 12 performances, from April 16–26: Tuesday – Thursday at 7:30 pm, Friday at 8 pm, Saturday at 2 and 8 pm, and Sunday at 3 pm. Tickets are $25-$110. More information at www.NYCityCenter.org. This entry was posted on Monday, March 30th, 2015 at 8:38 am	and is filed under Stuff to Do. You can follow any responses to this entry through the RSS 2.0 feed. You can leave a response, or trackback from your own site.